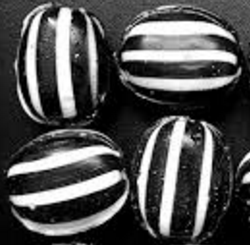 I reckon I got bitten by the ‘humbug bug‘ around 10-12 years ago, when the commercialisation of Christmas finally got to me. Around that time in my life, with my ex being made redundant and me belatedly realising that it was not normal to carry massive credit card debts from one year to the next, I started to pay it off bit by bit. In those early days, it felt like I was chipping away at a mountain with a spoon. However, along came Christmas and beguiled by adverts and faced with peer pressure to buy more and more expensive presents and to spend spend spend in the sales, I found that I ended up undoing some of the progress that I had made in paying down my debts. It would be steps forwards from January to October and then steps backwards in November and December. I began to dread Christmas and realised I had to develop a mindset change to resist peer and commercial pressure. I didn’t want to appear to be a skinflint or miserable so the only way I could do it was to succumb to the humbug bug. There was one Christmas where I did not put up a single decoration or even a Christmas tree at home. I just put up the cards that I received from friends, families and colleagues but that was it. Sounds a bit sad but it wasn’t such a difficult thing to endure at the time. Having debt made me more sad than anything else! And funnily enough, not having ‘ho ho ho’ rammed in my face while I was at home helped – whilst I did get into the spirit of festivities outside of home, eg I attended Christmas parties, went out with friends, exchanged presents etc. I just didn’t get into the spirit of mad shopping and spending. I no longer dread Christmas but I do think it comes round far too quickly, although I guess time appears to move faster with age! Since that one Christmas, I’ve not had to be so spartan with my decorations since (although both tree and decorations are still pretty modest), but I now have a mindset that stops me from getting dragged into needlessly spending money during this time of year. Taking a leaf from M’s book, I’ve also been putting a bit of money aside each month into a ‘present fund’. Continue to work hard in the gym because of the above! Enjoy the sights and sounds of the Christmas markets without buying unwanted ‘stuff’ on impulse. My ‘will’ list works out less expensive plus I don’t feel like I’m missing out on anything! I mention cashback websites in my list above and who doesn’t like a bit of free money? Since I really dislike queueing in shops and spending hours trying to get out of the shopping centre car park, I do most of my gift purchasing online. As I am making purchases anyway, I may as well pocket some ‘free money’ while I’m at it via TopCashback* (TCB), which is the cashback website that I use. I’ve been a member since late 2011, so the £1091 is what I’ve ‘earned’ in 4 years. About £60 of the £161 should be payable later this month, the rest is likely to be paid out early next year. Compared to some, this is a pretty modest amount earned. Friends and colleagues who have kids and/or pets seem to earn a lot more! Basically, if you’re going to buy something anyway online, you may as well use a cashback website. Often, the cashback is only a couple of quid, but like small dividends and interest, it all adds up. Stuff like insurance though generally have big payouts though. Funnily enough, one of my friends saves all her cashback for her Christmas shopping whereas I’ve been investing mine. So, I’m planning to keep my spending over the next couple of months to a sensible level whilst still enjoying myself. Hi Weenie. I 100% support your plan for Christmas. My goal was to spend as little as possible while still getting some nice things for kids. Buying next year presents on Boxing Day sale is probably the best solution we do in my house. I agree that borrowing money for non essential spending is crazy. There should be law that should Freeze peoples credit cards in December. When i see all the spending people are planing on my personal facebook I have to physically walk away from computer to calm down. And it's usually the people who claim to be able to only live from paycheck to paycheck. I hope more blogs about saving in the UK can convert at least a fraction of our population. Good call with picking up some of next year's presents – I often pick up next year's cards and wrapping paper this way. There's a growing UK blogging community so hopefully, the message is getting across! Thanks for stopping by and good luck with your own blog! Thanks for the mention. Great advice on various ways to Save money. We also buy our wrapping paper after Christmas, but since there are so many sales throughout the year, we tend to buy presents here and there at random times. Blimey – good work on top cash back! When I look back at the money I "got back" from Quidco I'm amazed. I must have been spending a lot a few years ago to rack it up! These days, I've fallen right out of the habit (and, to be fair, much of the cashback was driven by booking hotels when I used to stay away a lot). Hi weenie, you're right – Christmas cheer isn't an expensive item in itself. I am a complete scrooge when it comes to Christmas. When I realised that a large proportion of presents are either sold or chucked in a cupboard I stopped and now only buy a token gift. I have 5 brothers and sisters, 9 nieces and nephews, parents and my wife. I limit my total spend to £100 and even then it grates me to spend that. I actually love Christmas for the tradition but as with everything else in this World has become overly commercialised. With regards to cashback sites I have found that they can be a bit of a distraction from getting the real bargains. What I mean is, you go onto TCB for example and see that you are getting £20 for taking out your house insurance and you think you are getting a good deal. When a quick call to the insurance company 99% of the time will get you the same discount if not more. The vast majority of my points/cashback is work related when it is better for me to take the points/cashback than haggle and save work the money. Yes, I need to be a bit more organised and start picking up gifts and presents at random times – good idea! Thanks. It would be even higher if I was a spendy-kind of person and browsed for cashback deals but I only log on when I need to buy something! Hope you enjoy your advent calendars, Cerridwen. I don't have a real sweet tooth and usually end up with a pile of uneaten chocolates (yes, maybe I'm weird!) so I don't buy them any more! Yes, it does all add up. Unfortunately, when I was travelling for work, I hadn't discovered cashback websites – there would have been a lot of flights and hotels on there too! I get what you say about falling out of the habit but I guess at some point, you will still book hotels for you and the missus, so don't forget to head back to Quidco then! You still buy presents, so you're not a complete scrooge, :-)! I too realised that many presents got sold or hidden in cupboards (I do the same…) so these days, many of my presents are either edible (chocolates) or drinkable (some type of alcohol) – even if they are unwanted and end up being given to other people, they will get eaten or drunk, so no waste! I would love to impose a total spend, though would struggle with £100 – I'll try to plan things better next year to see what happens. I know what you mean about cashback websites being a distraction. There have been times when I've not gone for the cashback deal because I've already done some research and known that I can get it cheaper elsewhere – it's always worth checking first. Thanks for stopping by, hope all's well with you and Alison! There's nothing "scrooge" about rejecting consumerism at Christmas. Christmas was never intended as that until big business got hold of it. I support your plans too, particularly giving to charity. I have a rule with my friends and that is NO presents, but a donation to charity. We give each other a card with the details of the chosen cause. No better gift I think. No sure how the in-laws would take it, badly I suspect, but I should (wo)man up and test the waters. Ha ha at the "full refund" for some of your dates. I have a "PhD in Internet Dating" from my single days. Complaining to Trading Standards would have been warranted. Good luck with the Christmas plan. 🙂 I am one of those who are aware of the cash-back websites, but never made any use out of them. Looking at TCB, maybe I should have. As for Christmas, well, with a sole exception for actual toys for the children, I get Amazon tokens for everyone which is a lot more straightforward. Sounds like you have a plan to deal with all this holiday commercialization. I can totally relate about taking the right steps forward in terms of saving and investing only to take several steps backwards as gift giving/exchanging is expected around this time of the year no matter what your financial situation is or what financial goals you may have. Just be mindful of your 'out' and you'll be happy with what you have left 'in' when January rolls around. Yes, I make use of Amazon vouchers (and other generic store) vouchers too – so people can buy what they want! Thanks for kind wishes and for stopping by and yes, do check out cashback websites if you do some of your necessary shopping online. I would love to have that No Presents rule with friends and donate to charity but they're all really into giving presents. At work, we are able to donate gifts to its chosen charity (a women's refuge) – we buy gifts based on a generic 'wish list' provided by the charity so that all the presents will be wanted and not wasted. Haha, I don't quite have the PhD in Internet Dating – maybe I got a BSc in it! As for Trading Standards, certainly many I came across were not 'as described on the tin' haha! Being 'sociable' has an impact on savings/investing, ie going out with friends, birthday gifts, Christmas gifts. Finding the balance is hard but yes, keeping it under control, being mindful and not going silly (as I have in the past!) is key to keeping the snowball growing! That is an impressive TCB balance even if only over 4 years! I like the idea of saving it up and using for something big like Christmas shopping. Having said that I think I’d rather stick a Christmas tree up my ar$e than actually venture into town in December! I think most frugal people are a bit bah humbug about Christmas but as others have said it’s mainly about the commercialisation of it. I mean when I was a kid I am sure I genuinely found getting presents so exciting but looking back now those are not the things I remember, it’s the being around family and loved ones and food and smells and music, and let’s face it you got to have a few decorations as well but they don’t have to be expensive. Yeah, using the balance for Christmas shopping appeals to me too but I’m a little too impatient to take the payout, even though I’m investing it. Time in the market and all that! I agree – thinking of the Christmases that I spent as a kid, I remember what we did, who was there, games we played etc but can’t remember any of the presents, haha!